Interested in one of these? Click here to go straight to the retailer or Etsy seller for each! 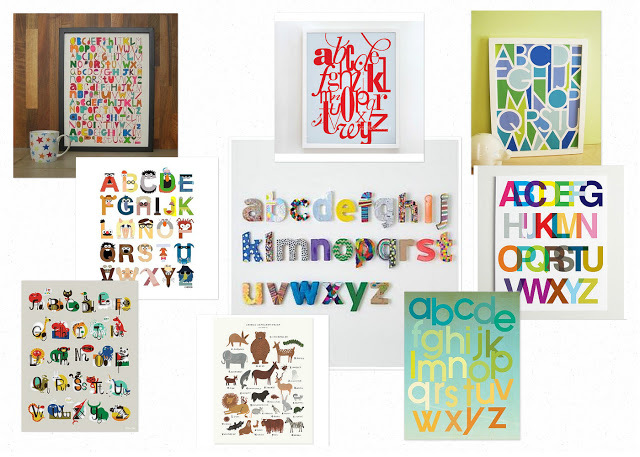 Any of these prints would make a great addition to a nursery, child’s bedroom, or playroom (it definitely doesn’t have to be a school themed room to look great!). Can you spy the Muppets alphabet print? That was one of my favorites! 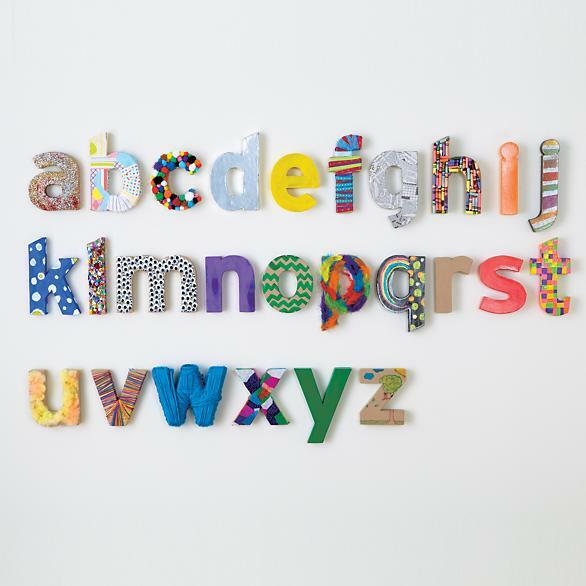 And you’re right, the letters in the middle aren’t a print, but rather The Land of Nods’ kraft paper letters each decorated in it’s own funky way. I just love these – if you’re up for a little art project and want to make a bigger statement in a room than a print, this is definitely the way to go!